Guns – That one has been bothering me since I moved to the US. What in the world? Why do people think it’s ok to own semi-automatic weapons? Why are people so opposed to background checks? I just can’t understand the love and passion people have for guns, period. I contribute to Every Town for Gun Safety and I hope the next president will take steps to decrease the number of guns people own and can buy. Racial inequality – I am ashamed to say that I have been color blind for too long. I lived in a world where everyone should get along and forget about their differences. And then came the killings of young African American men and women by the police. And I woke up! I saw the systemic issues, the way we / I perpetuate inequalities, the way we refuse to acknowledge our privilege because of guilt and decades of historical revisions and willingness to portray the US in a good light. We have the same issue in France with our former colonies. I’m not saying this is something only the US has to grapple with. But I live here, so I am more aware of what is happening here. Paris – Obviously. 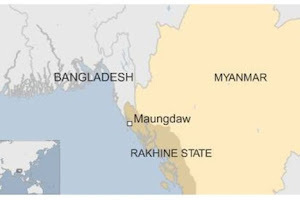 The killings in January and November were terribly sad. While I agree that there was too much media attention to Paris as opposed to other world crisis, I grieved with my city and my people. I am afraid the French people are becoming more racist and afraid of foreigners, refugees, and migrants. I hope we can wake up and become a nation that is welcoming to others. Elections in the US – That’s a big one for me even though I cannot vote because I am not a citizen. I will be blunt: I do not think any of the Republican candidates are good for the US. They’re ignorant, racist, completely focused on topics that please their crowds and forget about inequalities (racial, socio-economic, gender-related) in the country. I am hopeful but careful. And worst come to worst, we’ll move to Canada or England! What about you? What did you focus on this year? Well this year was interesting to say the least. It was not really a fun year actually. 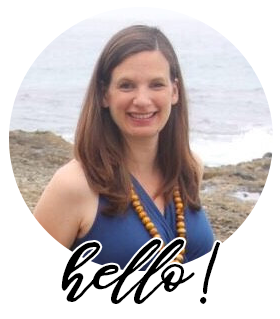 After I stopped breastfeeding Jude in May-June I got a bit depressed and gained 15 pounds -that also happened after I stopped nursing Léo, so I knew what to expect, but it still made me feel grumpy until the end of November. I ate like crap (look at me talking like that’s in the past, ha). I drank a tad too often. My marriage faltered for other reasons. 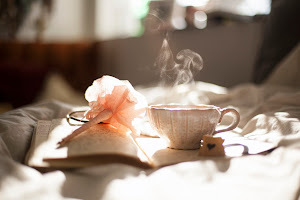 I completely neglected this blog. Bliss. Finally at the beginning of December I thought “OK, this here is rock bottom. I’m done. I can only go up from there.” And of course it wasn’t a magic trick allowing me an immediate shot up. Rather it’s been a slow but steady swim toward the surface. I have this weird belief that I operate on a cycle where I hit an excellent year every 7 years. 16 was really excellent. 23 was great (got engaged, lived in Paris, graduated with a master degree). 30 was rather good (Leo was born! So it was hormonal to say the least but really amazing, too). 37 is happening soon, so I have 18 months to reach the top of the mountain! First up: get out of the water and take a deep breath. Slowly but surely. So let’s review other aspects of 2015 for a bit. I love lists so I’m going to end the year with my 2015 top 5 lists. First up, books! 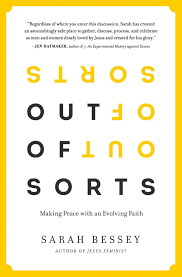 Out of Sorts by Sarah Bessey – I just finished this book (though I was on the launch team.). It deals with doubts about God, about the Bible, about Christianity in general. It resonated so well with me. Sarah Bessey has found answers to questions I am still struggling with. Her faith is, in a way, sorted out. Mine is still wavering mightily. Her words are graceful, soothing, warm. Here are two quotes that are just perfect: “That was when I began skipping big sections of Scripture. I wasn’t able to turn off my pathos. Noah and the Ark? All I could see in my mind were animal and people drowning in terror. Jericho? Forget your fun Sunday school songs, this was genocide. The story of Hannah, giving yup her son Samuel to temple, broke my new-mother heart. I faltered before a God who would ask such a thing of a mother.” “Small acts of faith and justice are still acts of faith and justice.” That spoke to my heart as I’m sorting out my beliefs, theology and walk of faith. Now I want to read Searching for Sunday by Rachel Held Evans. 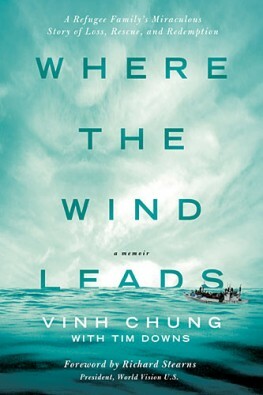 Where the Wind Leads by Vinh Chung– The story of then 3-year old Vinh Chung and his family, who fled Vietnam at the end of the 70s on a dingy boat and were rescued by a boat led by the president of World Vision. Vinh and his family were sponsored in the US. He’s now a Harvard graduate and a medical doctor. His story was so interesting from a historical and cultural point of view. I manage projects in the East Asia region and it was really enlightening to read about the way children and parents interact, for instance. Mostly it reminds us that refugees deserve a safe place to grow and that we in the US and we in Europe must welcome them with open arms. 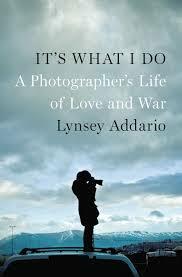 It’s What I Do by Linsey Addario – This war journalist talks about her life story as well as what inspires her and makes her heart beat a little faster. I enjoyed reading about various conflicts through her eyes and seeing the pictures she’s taken –as well as the progression of her art. 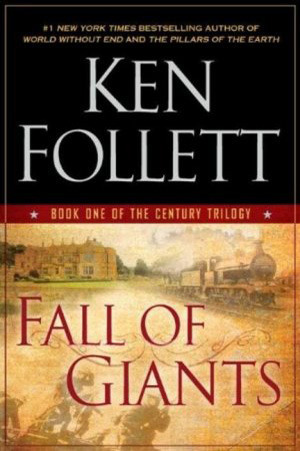 Century Trilogy by Ken Follett: Fall of Giants, Winter of the World, Edge of Eternity – Guilty pleasure! We follow a few families in Europe throughout the century in England, Russia, Germany, and the US. Super easy read, really interesting historically. I enjoyed these 3 books thoroughly. This book reminds me of Paris by Edward Rutherfurd where we also follow a few families in the city in the course of various centuries. Great book that made me miss Paris dearly. The Nightingale by Kristin Hannah– I am obsessed with WW2, especially the Shoah and the resistance. This book follows a French resistant woman. Super easy, thrilling, and touching story. I’m currently reading Between the World and Me by Ta-Nehisi Coates and Boys in the Boat by Daniel James Brown and they’re both excellent, for different reasons obviously. I’ve also watched way too much TV in 2015. I am not going to rank these but I have loved Luther, Sherlock, Call the midwives, How to get away with murder, Making a murderer (documentary in 10 episodes), and The Americans. Ok, now on to podcasts! BBC Witness – Obviously I’m a sucker for documentaries and history and this 10’ daily podcast feeds my passion. Grand Reportage / BBC Documentaries – These 2 run about 20-25’ each and cover various topics in the news. Grand Reportage is in French while the BBC Documentaries is in English. Both really good and interesting. Undisclosed – I loved Serial and this podcast goes in depth into the case of Adnan Syed. It’s absolutely biased in favor of Syed and very well done. It really goes through the investigation, prosecution, defense, and trial in details. I have learnt so much about the justice system and am baffled by the prosecution’s bias against Syed and the lack of professionalism of Syed’s lawyer at the time. I’m hoping he gets a retrial. Scummy Mummies – These 2 English mums make me laugh! They’re obviously drinking a lot of wine and crack themselves up. I’m not super interested in all of their topics or guests but always end up laughing out loud. I think we could be friends. 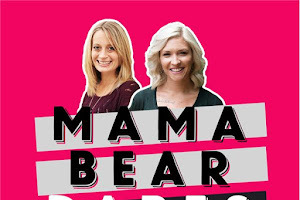 Call your girlfriend – I just started listening to this podcast and while I think the targeted audience might be younger than I am –probably in their 20s- I am enjoying the point of view and interests of these 2 women, one African American and one Caucasian, both smart and ultra-feminist. Speaking of feminist, I have been listening to Lena Dunham’s Women of the Hour and thoroughly enjoyed that podcast, too. What books and podcasts did you enjoy in 2015?